Officials from the Pensions Regulator and the auditors of Carillion faced fierce questioning from MPs over their role in the collapse of the construction giant. Members of the Work and Pensions and Business Committees believe they have a "growing pile of evidence" that those involved with Carillion, including investors and hedge funds, saw warnings of its demise. 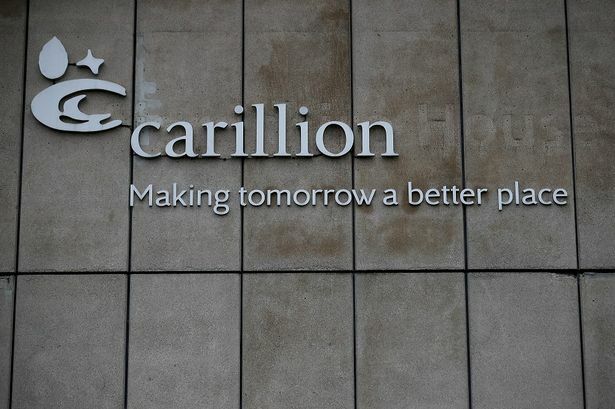 Wolverhampton-based Carillion was placed into liquidation in January after struggling with debts of £900 million and a pension deficit of £587 million. It has brought work to a standstill on two major developments - office project One Chamberlain Square in Birmingham city centre and the Midland Metropolitan Hospital in Smethwick. Frank Field MP, who chairs the Work and Pensions Committee, asked why the Pensions Regulator did not take action to make company executives address the growing pensions deficit. Chief executive Lesley Titcomb and director of case management Mike Birch told MPs that Carillion was threatened with action and had agreed to pay an extra £85 million into pensions. But Mr Field complained that the money would be paid over 15 years, with nothing paid for two years. The officials were asked by MPs how many pension schemes were allowed to spend so long putting recovery plans in place but could not give a figure. Rachel Reeves, who chairs the Business Committee, said many people in their 20s and 30s were not saving into a pension, partly because they were worried about whether it would be paid in full later in life. She said the regulators&apos; lack of answers about the detail MPs wanted should send "shock waves". Ms Titcomb said the regulator was up on the detail, adding that it dealt with 6,000 schemes, engaging with around 200 every year. Mr Field said directors of Carillion had received "mega-dividends" at the same time as being allowed not to pay any extra money into the pension scheme. "Why did you not use your powers to get money to pensions?" he asked. Ms Titcomb said threatening action was often enough to ensure action was taken but acknowledged that "difficult judgements" were made. Michael Jones, of Deloitte which was an internal auditor at Carillion, told MPs he did not attend a meeting of the company&apos;s audit committee which agreed a write-down figure, saying it wasn&apos;t unusual not to attend every meeting. Ms Reeves said: "It might not be unusual but I find it quite surprising." Mr Field said it was "extraordinary" the company was coming up with a write down figure which was then accepted. Ms Reeves said: "Carillion&apos;s annual reports were worthless as a guide to the true financial health of the company. "The fact that it was impossible to get a true sense of the assets, liabilities and cash generation of the business raises serious questions about Carillion&apos;s corporate governance." More than 1,000 former Carillion workers have lost their jobs since the company went into liquidation last month. KPMG is already facing an investigation by the Financial Reporting Council.